The world revolves around contacts, connections and information. Some of the biggest problems we have are simple misunderstandings. Often times these are simply that we have a barrier of language. As a reference look to the challenges of our political control. The answer is no, not one. of those who have been taking the very life from our society. a trap and only serves to keep you and me as slaves. The very origin of the word God is hidden and unknown. Which is false as the word predates the Germanic term and is not accurate. The word is an acronym. The Romans sent sentries to the east to find their concept of the devine. They still had terms like the Father and Yaweh. With the third party reference It does not reveal a named conciousness or diety but an idea or an observation. I, who prove myself to be. Still not a name but a reference to an awareness stating for itself that indeed, I AM. The determination for the word God comes from that same line of derivation. 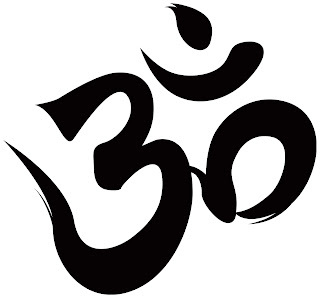 It is said that the sentries returned with the Om. There is no real separation. Only what we allow to divide us. These statements are not intended to be taken as irrefutable facts but merely to be considered as a reference to how connected we all could be. At the very core of what divides us as a planet, a species a people. This is after all our home, Earth. I am glad to know people I can share these kinds of ideas with and thanks for pointing me to your blog. I personally believe that the Tetragrammaton is not the name that was given to Moses, but that the oligarchical rabbinic structure of Judaism concealed the name to keep the people from saying it. I think they left the "vowels" - or the silent letters - and took out the consonants. Of course, that would not go along with the theory that the word should start with an alef. Do you know Teilhard de Chardin? His most popularly known work, The Phenomenon of Man, has as its central point that the purpose of evolution is to create a meta-evolved sphere of thought around the earth called the noosphere. Whenever people are ugly or set apart or break off from the rest of humanity, isolating themselves in prisons of their own making, they break off as dark patches in the noosphere, preventing all of humanity from becoming one with the lover and with one another. I agree that the words we use are sometimes insufficient and have origins that are iffy. I recently saw an article that reasoned that the word Amen, which means so-be-it, had an origin in the name of the Egyptian god of completion. Yet we still use these words to refer to what we mean. We need language. I think the problem comes in among others when we don't understand that the thing being referred to may be called many different things. But all those names refer to the spirit behind the names, and that is where the truth is. I like this song by Death Cab for Cutie. It's from their post-indie days, but it says precisely what I mean.